So you dye your hair to get a shade that makes you smile, but are you also ensuring to keep your hair healthy throughout the process? Yes, hair treatments at the salon, or purchased at a store can be expensive and time consuming; but if you are splurging to get the color, you should do your best to keep your hair soft, shiny and healthy. Except, you don’t need to splurge on treatments, when the best one can easily be made by you right at home. I love getting my hair done. ( Don’t we all?!) Just over a year ago, my main concern was getting a cool shade of blonde, and switching between blonde and brunette to match the seasons. Then my stylist introduced me to Olaplex, and I learned I could get my hair dyed and keep its’ integrity as well. Because truthfully, pretty colored hair is so much better when you can run your fingers through it and feel softness instead of dry, brittle strands. So I continued getting my Olaplex treatmemts, but recently I stopped and started doing an at-home remedy which has seriously kept my hair silky, manageable and kept split ends to a minimum. Check out the recipe below, and don’t hesitate in sharing if you have tried it and loved it too. make sure oil is not hot and generously apply to your hair, concentrating on ends. leave on hair for at least 20-30 minutes. I like applying it and doing whatever I need to do and washing it off at the end of the day. shampoo and conditioner, style as usual. enjoy soft, manageable hair until your next wash. do this treatment once a week, but be sure you don’t have allergies to either ingredient first. There you have it! Quick, affordable and most importantly, it works! The first time I tried this, I loved the fact my hair didn’t get tangled at night, stayed soft to the touch for the few days in between my next hair wash, and looked shiny and healthy. You can see the sheen on my hair, ends don’t have much noticeable split ends, and considering I do multiple bleach sessions my hair looks and feels healthy. 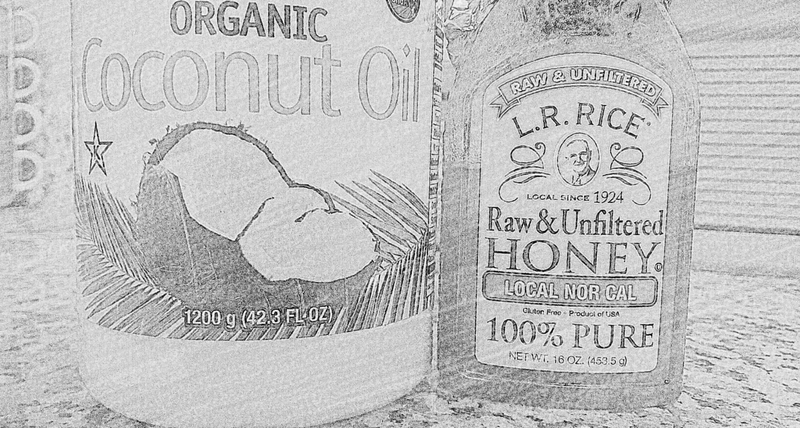 I even decided to test this treatment versus a few hair treatments I purchased at Sephora, and even though some worked good; I seriously felt the honey coconut oil treatment kept my hair feeling healthier longer that the rest. Try it out for yourself ! versus store purchased hair treatments.